This is the portion of the blog where I put stuff that doesn’t fit anywhere else. I mostly blog about parenting, health, and writing; but, like most creative people, I constantly think of things that don’t fit within my original categories. Some would say that I should narrow down my focus and niche – that writing about a lot of different topics is no way to run a blog. I beg to differ. 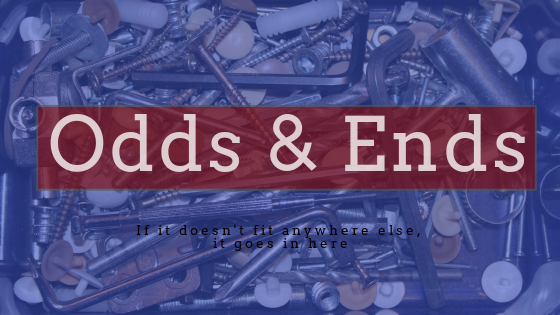 See the “Odds and Ends” posts below. Embrace Your Multiple Talents. I have, and It’s liberating.